Gluconolactone. 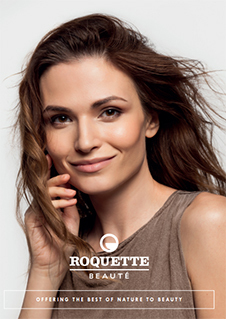 Beauté by Roquette® GA 290 acts as a multifunctional ingredient: preservative booster, anti-aging, anti-acne & peeling agent. It is a plant-based PolyHydroxyAcid (PHA), adapted to all skin types especially to sensitive skin. It reduces wrinkles and refines skin texture. It also works as a heavy metal chelator (EDTA substitute) and pH regulator. It is non-irritating and can be incorporate into the water phase. Beauté by Roquette® GA 290 is recommended for all cosmetics applications. Compliant with US, EU, Japan and China regulations. It is ECOCERT/COSMOS approved. Please note, these HSP values are estimations. It is based upon the “like seeks like” principle. It splits an ingredients interactions into three parameters; δD (Dispersion force interactions), δP (Polar forces interactions) and δH (Hydrogen bond force interactions). Hansen Solubility Parameters can help you find a wide range of products that are predicted to be compatible with Beauté by Roquette® GA 290. A practical determination of these HSP values would provide higher certainty. Learn More.